Andy Murray stunned the world with his triumphant win over Russia's Novak Djokovic. The 25-year-old Murray is the first Briton to win the United States Open since 1936. The Match was a windy, back-and-forth battle which ultimately left Murray the winner. Andy Murray has been playing professional tennis since he was a youngster. The youthful athlete is a tribute to both the tennis world and all athletics, showing the world the greatness of competitive sports. 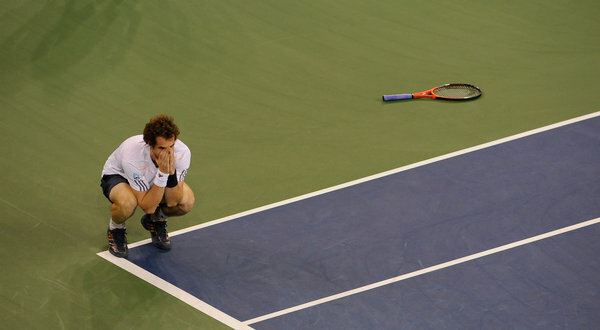 For more information about the Andy Murray win, check out the NYTimes Sports. We at Healthmark Foot and Ankle, commend and celebrate exceptional athletics and sports performances. Make sure nothing stops you from reaching new heights in your sports aspirations by visiting us for all and any of you foot, ankle, and leg problems!